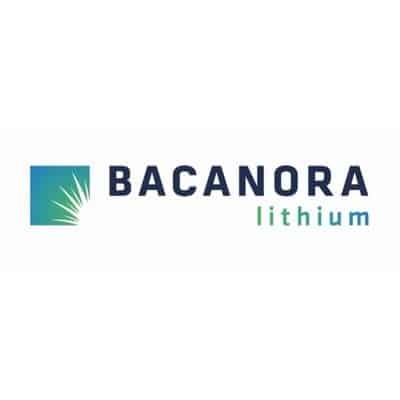 Bacanora Lithium plc (AIM: BCN), the London traded lithium company, is pleased to announce that its 50%-owned subsidiary, Deutsche Lithium GmbH, (‘Deutsche Lithium’), has been granted an additional Exploration Licence (‘the Altenberg Licence’) covering approximately 42km² in the Erzgebirge (Ore Mountain) region of Saxony, Germany. The Altenberg Licence, which completely encloses Deutsche Lithium’s existing Zinnwald Lithium Project (‘Zinnwald’), has the potential to significantly increase the life of mine at Zinnwald. Deutsche Lithium plans to investigate the deposits on the Altenberg Licence over the next five years and to combine its exploration and development with its Zinnwald and Falkenhain licences. The 5 year Exploration Licence was issued to Deutsche Lithium by Sächsisches Oberbergamt, the Saxony State Mining Authority. The Directors believe this work has the potential to increase the resource base already delineated at Zinnwald, which currently comprises 142,240 tonnes of contained Li (NI43 101, Measured + Indicated + Inferred). A Feasibility Study (‘FS’) focused on developing a strategy to produce higher value downstream lithium products from the Zinnwald concentrates for the European battery and automotive sectors remains on track for completion in Q2 2019. In tandem with the FS, the Company is in discussions with financial advisors and potential strategic partners with regards to a potential spin-off and separate listing of Deutsche Lithium. This is being considered to assist in the funding of the construction of a high value lithium operation at Zinnwald. Peter Secker, CEO, of Bacanora Lithium, commented: “Hosting deposits that have historically produced lithium and lying on the same geological play as other mines in the area, the Altenberg Licence is an excellent addition to our existing Zinnwald lithium project. Located in the heart of the European battery and automotive sectors, Zinnwald is strategically positioned to become a leading supplier of high value lithium products to the rapidly emerging European electric vehicle sector. The decision to apply for further acreage that has the potential to extend the life of mine at Zinnwald was therefore an easy one.